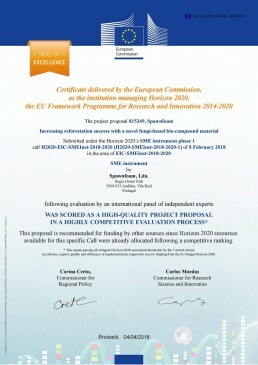 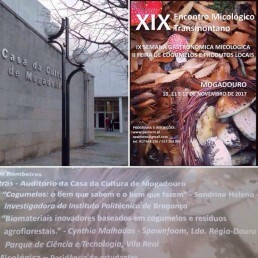 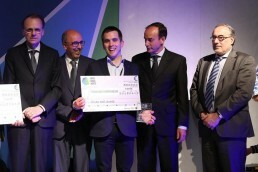 SPAWNFOAM, Ltd. based in Regia Douro Park, Vila Real (Portugal), was awarded with the “Seal of Excellence” in the Phase 1 of “Horizon 2020 – SME Instrument”, the European Commission prestigious program to support innovation in small and medium-sized enterprises, with the project: “Increasing reforestation success with a novel fungi-based bio-compound material”. 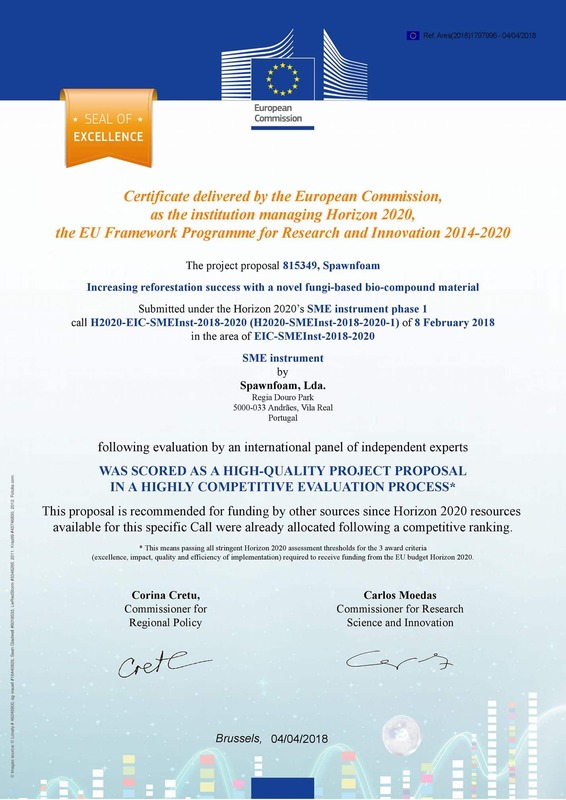 This distinction is attributed only to a small number of projects / companies, which are able to get past all the demanding levels of eligibility for funding, certifying technical-scientific excellence and international business potential. 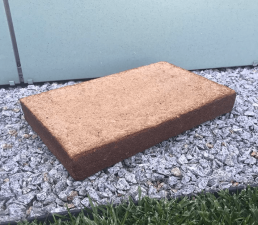 Spawnfoam is a biotechnology company that emerged in 2017 and develops innovative, fully biodegradable bicomposites based on agriculture by-products and agroforestry waste, reinforced with fungal mycelium and other natural additives. 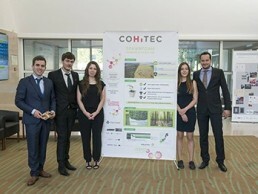 It produces biodegradable pots and containers for the sowing and multiplication of plants for agriculture and forestry, biodegradable packaging, architectural and design articles and panels for construction (thermal / acoustic / vibration insulation). 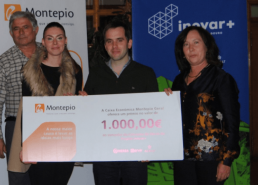 Spawnfoam wins Innovative Project Ideas Contest "INOVAR+"
The XPS Blue Board from the future?